My biggest cash prize yet, and much, much more. The fun starts NOW. This 5th edition of the biggest job search guest blogging contest in the world has over twice as much in prizes as last year. There are ONLY 25 10 no more guest blogging slots available. Look forward to next year! Most shared article prizes – a first! Take your time to carefully read this announcement. There's a lot of information and many prizes, you don't want to miss a thing. Marcus Tandler's JOBlog is Germany's oldest blog about job search & careers. For its 6th anniversary (!) the JOBlog is proudly sponsoring JobMob's guest blogging contest. Everything you need to take your blogging to a whole new level. Access to Jason Alba's paid webinar “Blog Marketing 201-501”. Sponsored by Jason Alba, a US$100 value. A copy of Jason Alba's upcoming book “8 Lunches”. Sponsored by Jason Alba. In case you've been living in a cave for the past several years, Rabbi Issamar is an internationally acclaimed advisor to successful business owners, and a winner of Inc. Magazine's prestigious “Entrepreneur of the Year” award. Three lucky winners will each receive a full hour of time with Rabbi Issamar to discuss their future, vision, and obtain clarity of goals- and get a game plan for how to get there! Kiesha Easley is the owner of WeBlogBetter.com, a blog devoted to offering blogging tips. She is a freelance writer, copy-editor, and blog consultant for small business owners. She's just recently released, Be a Blessing: 77 Ways to Bless Others, a book that encourages everyone to consider practical ways to help others. Connect with her on Twitter @weblogbetter. WebHostingBuzz is a reliable web hosting company based in MA, USA. WebHostingBuzz serves 25,000 clients from around the world. With a reputation for reliable, fast web hosting backed by excellent customer support, WebHostingBuzz is an ideal choice for webmasters looking for web hosting, reseller hosting or vps hosting. WebHostingBuzz offers a 30 day money back guarantee for it’s hosting services and also has a generous web hosting affiliate program. The winners will be chosen at random from all the contest submissions received before Monday August 1st, 2011. The Judges' Choice prize will be the overall favorite guest post as voted by the contest judges (who will be announced later), regardless of how well the guest post performed in competition for the other prizes. The idea behind this prize is that sometimes the contest has great posts that for whatever reason don't perform well, and this is a way one of them can still get some recognition. HireAHelper helps people compare and hire movers. Entering a US zip code and your move date pulls up a list of local movers, final pricing from each company, and honest reviews from past customers – unedited, positive AND negative. So, throw your phone book out (I mean really, what moving company would give you positive & negative references about themselves?) and do all your moving research and hiring in one place: HireAHelper.com. A copy of the latest edition of the Personal Branding Magazine. Sponsored by Dan Schawbel. Simple: drive as much traffic as possible i.e. get as many people as you can to visit your guest post when it's in competition. Once your guest post is accepted as an entry, you’ll receive an email telling you exactly when your guest post will enter the contest and to compete for visitors. After each guest post appears on JobMob, it will enter the Contest Rankings. The Contest Rankings are determined by the number of unique visitors to your guest post during the 7 days after the post was published on JobMob. That page will be updated frequently during the contest, and notification of those updates will be published on the JobMob Facebook page. …is the author of the guest post appearing at the top of the Contest Rankings at the end of the contest, with the other grand prize winners decided based on their guest posts' rankings. In case of a tie, the winner is the writer of the guest post with the most comments/trackbacks, Facebook shares and Twitter retweets (in that order), so encourage your friends to link to your post and share it as well. Freelancer.com is the world's largest outsourcing site with over 2.6 million registered professionals from over 234 different countries and territories. Through our website, you can hire freelancers to do work in areas such as software, writing, data entry and design right through to engineering and the sciences, sales and marketing, and accounting & legal services. The average job is under US$200, making outsourcing for the first time extremely cost effective for small businesses. Simply post your first project for free and watch all the freelancers bid to do your work. Here are some traffic tips on how to attract maximum visitors to your entry. One hint: use social media. Tweet about your guest post, Like it on Facebook, email it to your contacts, friends and family. If you have a blog, linking to your own guest post is fine. In addition to the main prizes given out according to the unique visitor counts of the Contest Rankings page, there are also prizes for the most shared articles. This year's Contest Rankings will also show the share counts accumulated for each article during its 7-day run. Dan Schawbel is the Managing Partner of Millennial Branding LLC, is a world renowned personal branding expert. He is the international bestselling author of Me 2.0, and the publisher of the Personal Branding Blog. Prize money will be paid in any currency supported by Paypal, using the exchange rate of the day it’s awarded. Paypal is the only way prizes will be paid outside of Israel (get a PayPal account here if you don’t have one). Additional prizes may be announced over the coming weeks. If you’d like to sponsor the contest, please follow these instructions. Animal is the host of a rowdy online call-in show about recruiting and careers. In April 2006, he founded the Recruiting Animal blog, then, in March 2007, he started The Recruiting Animal Show, the only online call-in show about recruiting in world history. How to enter – Easy! 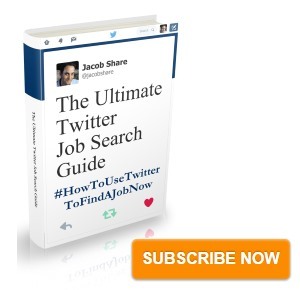 Write a new blog post for JobMob on a topic related to job search. Follow our guest post guidelines, which also explain how to submit your entry. Like the JobMob Facebook Page to be notified of Contest Rankings updates and other contest news. There is NO DEADLINE for submissions but there are only 25 blogging slots available, so ACT FAST to be included. They will go quicker than you think. The contest is open to anyone over the age of 18. You don’t need a blog to enter. For your own benefit, do not republish your entry on another blog (such as your own blog, if you have one) before the contest is over. You may do so after the contest as long as you credit your entry on JobMob by linking back to it. Submit ONLY ONE guest post as an entry. I reserve the right to not publish any entry without justification, especially if it doesn’t conform to our rules & guidelines, but it rarely happens. 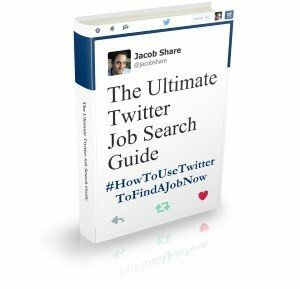 Joshua Waldman helps frustrated job seekers leverage social media to find work FAST! He is the founder of CareerEnlightenment.com and the author of the new book, Job Searching with Social Media for Dummies. Sign-up for his newsletter today and get access to his exclusive training videos for free. 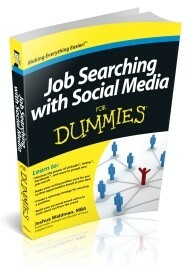 10 randomly-chosen contestants will each win a free copy of Job Searching with Social Media for Dummies. However, only contestants that haven't won any other contest prize will be eligible for these. September 12th 2011 – the last possible day that a guest post will appear on JobMob, and the Contest Rankings page will no longer be updated until the end of the contest. Your most-liked/least-liked job search tools, websites, etc. Remember- there are a VERY LIMITED number of blogging slots available – as you can see in the sidebar – and there are 2 early bird prizes, so get your entry in as soon as possible! Subscribe to JobMob via RSS or email and follow me on Twitter for the biggest contests bringing you the best job search ideas. OK. I’m in, as usual. I hope this contest is as successful as ever Jacob. Wow. I got some great “thanks for participating” prizes last year. This year, though, I’m going to really try and get the good stuff.